Grand Teton Music Festival is a collaboration between top-notch musicians. Our orchestra is comprised of numerous first chairs from other symphonies and led by distinguished conductor Maestro Runnicles. Musicians come to GTMF for the fun of making high-caliber music with peers at the top of their musical games. 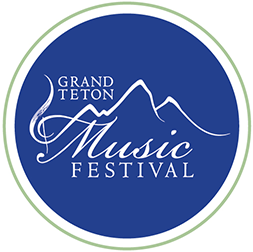 Grand Teton Music Festival Symphony Orchestra concerts will include Beethoven's Eroica Symphony conducted by Music Director Donald Runnicles; Edo de Waart conducting Schubert's Ninth Symphony and a new piece by Aaron Jay Kernis; and Osmo Vänskä conducting Sibelius's Fifth Symphony. Soloists include violinists Mark O'Connor and James Ehnes and Uzbekistani pianist Bezhod Abduraimov. Artists-in-residence are cellist Alisa Weilerstein and guitarist Pablo Villegas. Season 54 will kick off with two stage-seating-only concerts by pianist Denis Kozhukhin and Broadway Star Doug LaBrecque. Music and Wine events take place in Jackson art galleries, featuring Villegas and an ensemble from the festival orchestra.